Discover the perfect wines for you. Start with an exclusive Wine Tasting Kit. Only $39.95 $9.95 with $0 shipping! Experience the difference a wine service devoted to your tastes can make! Get a fun, colorful overview of the wines you'll love the most. Save up to 50% on full cases personalized to your tastes. Wine that suites your taste and budget. Save 50% on your first case (12 standard-size 750ml bottles) — only $84.49 with $0 shipping (regular price: $149 plus $19.99 shipping). Your satisfaction is our top priority. If any bottle is less than perfect, we'll replace it or credit you for it — no excuses. You can cancel at any time, but why would you? We don't just say you'll be satisfied; we guarantee it. 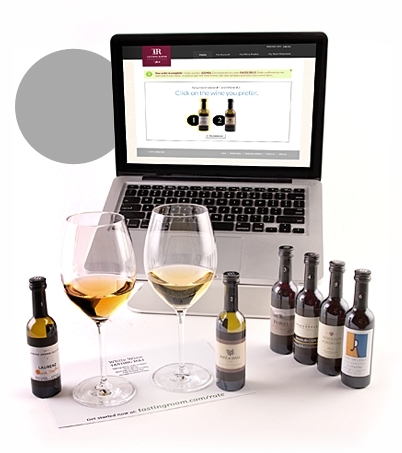 Start your personalized wine experience. Enter your email address above now!